We had a conversation today about pressure-testing students. It is something I have been thinking a lot about for some time. While I want it for myself, I realized that some other people may NEVER be ready for it. 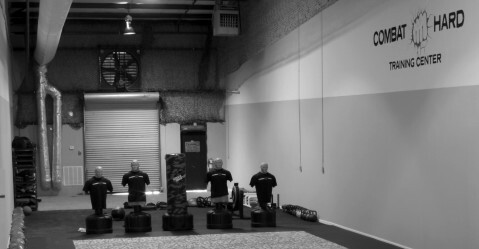 If you are truly interested in Combatives, (what Dennis Martin describes as “what works in a fight” or Kelly McCann describes as “what you do TO somebody”), my thought is that you want to train to function under extreme duress. You want to respond aggressively in a realistic violent confrontation, even if you take the first hit. HOWEVER, some people just want to leisurely train. Some people have a different perception of reality from me, as an instructor. Some people may not have made the decision to fight for their lives. Some people may possibly freak out and leave my class or my school if I turn up the juice and really put it on them. At that point, I have lost them forever! It is a tricky thing, and I especially don’t want to drive away the people that need the training the most. So, my advice is to assess each individual carefully. You, as an instructor, may have to bring them along slowly and ramp them up. Some students are just plain scrappy, or have prior experience and want to jump in feet-first. Some may never want any pressure, and you can only lead them where they want to go. Your job, as instructor, is to meet them wherever they are and help facilitate their goals, whatever they may be. Take care, and talk with you soon! This is Holly. I maintain the Gutterfighting blog, but I have just passed on your message to Steve. We will definitely check out your book! Thank you so much for your comment.